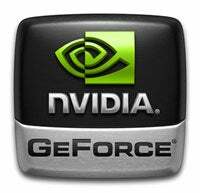 Anyone into computer gaming knows NVIDIA is one of the biggest names in video cards today, but imagine being new to PC gaming, knowing nothing at all about video hardware, and wandering into a Best Buy to try and determine which graphics solution suits your needs. It's like being a man sent to the grocery store for feminine hygiene products (should I get Super? ), only slightly less embarrassing. NVIDIA's VP of Content Business Development Roy Taylor says that the company is working to make their products more consumer-friendly. "It is a challenge that we're looking at right now. There is a need to simplify it for consumers, there's no question," Taylor explained. "We think that the people who understand and know GeForce today, they're okay with it - they understand it. But if we're going to widen our appeal, there's no doubt that we have to solve that problem." It remains to be seen how exactly they'll manage this - perhaps a big white box that says "Will run World of Warcraft" on it, but it's nice to see them moving in a more consumer friendly direction.